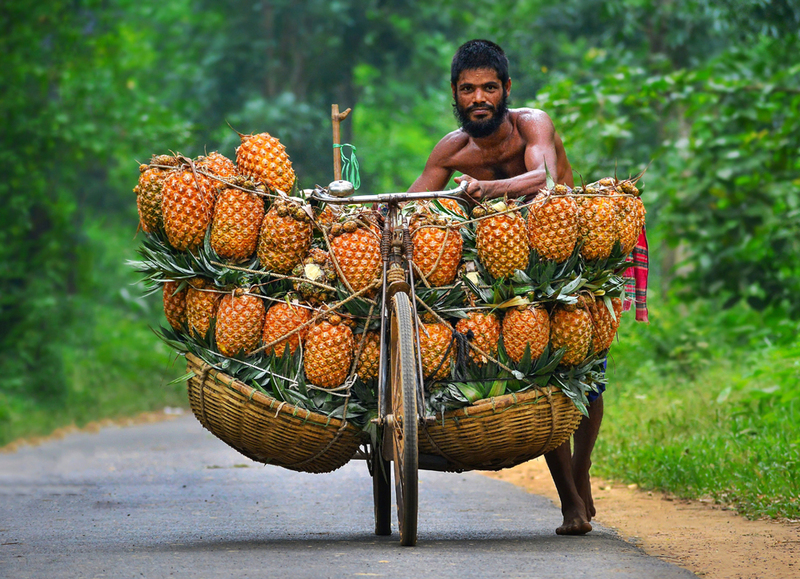 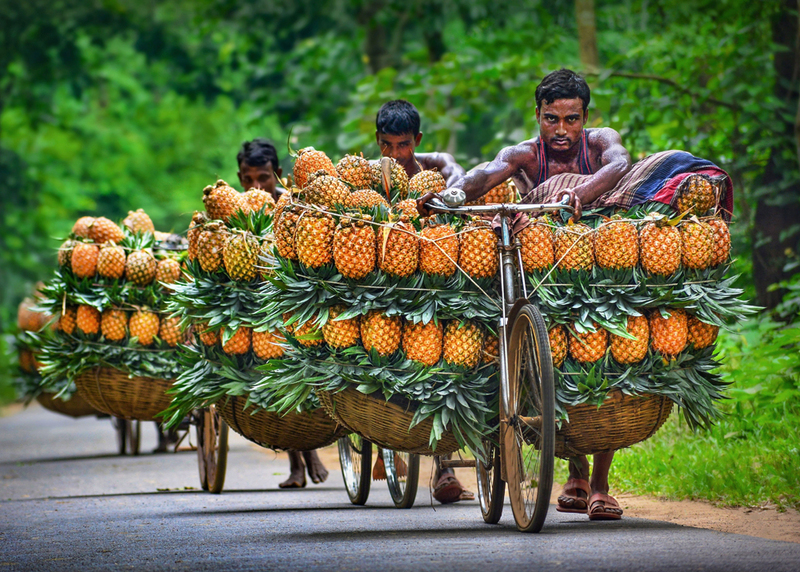 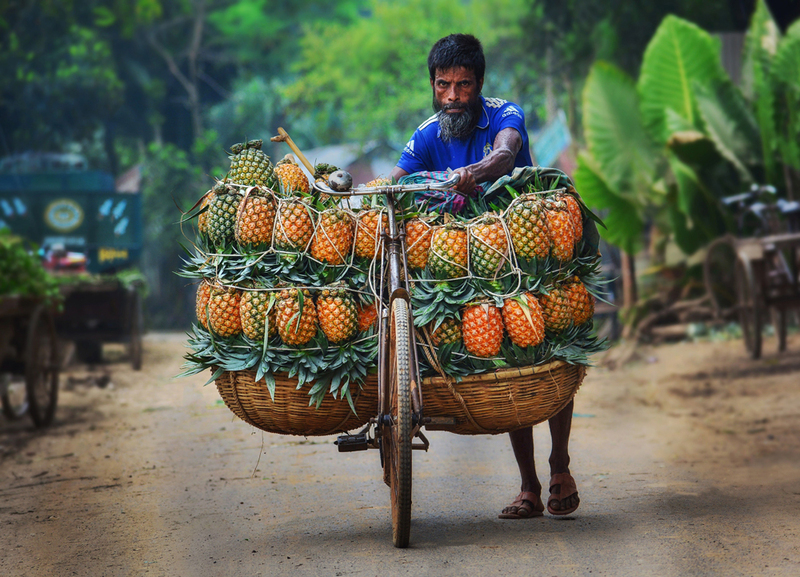 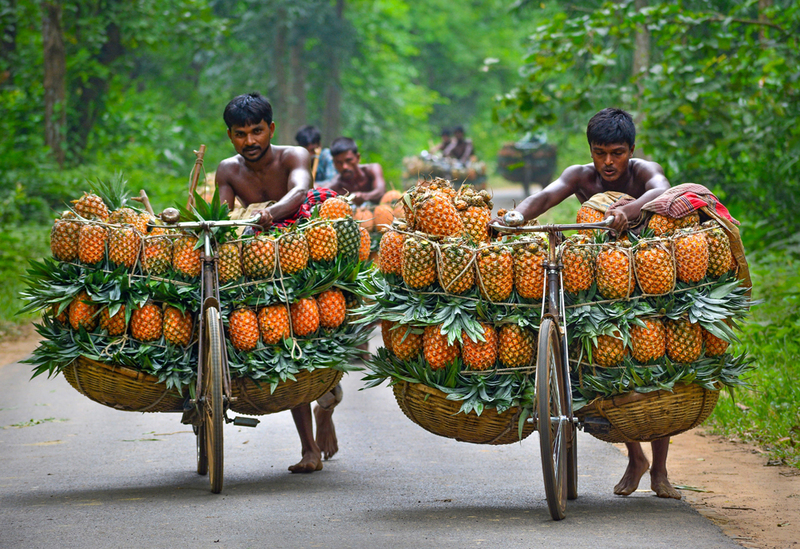 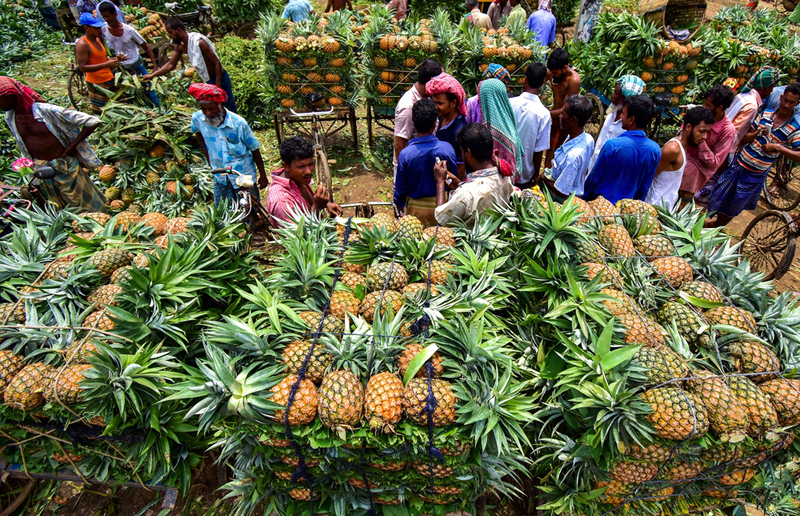 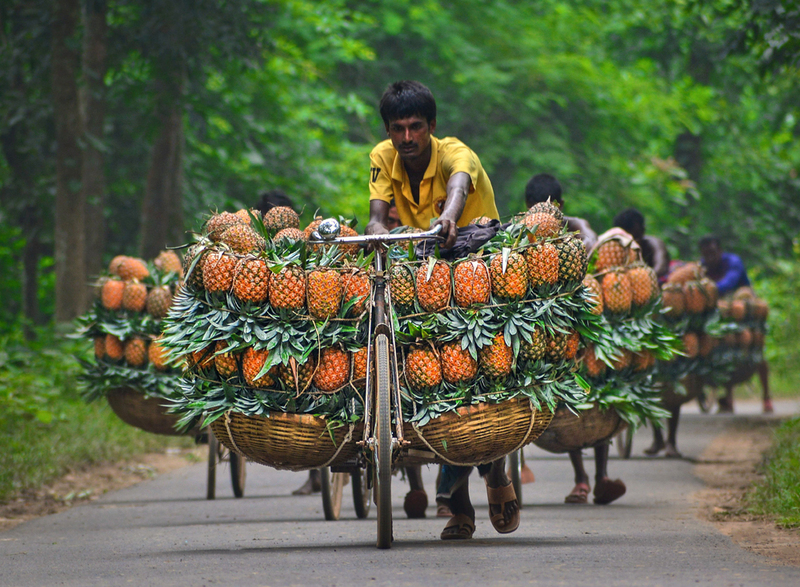 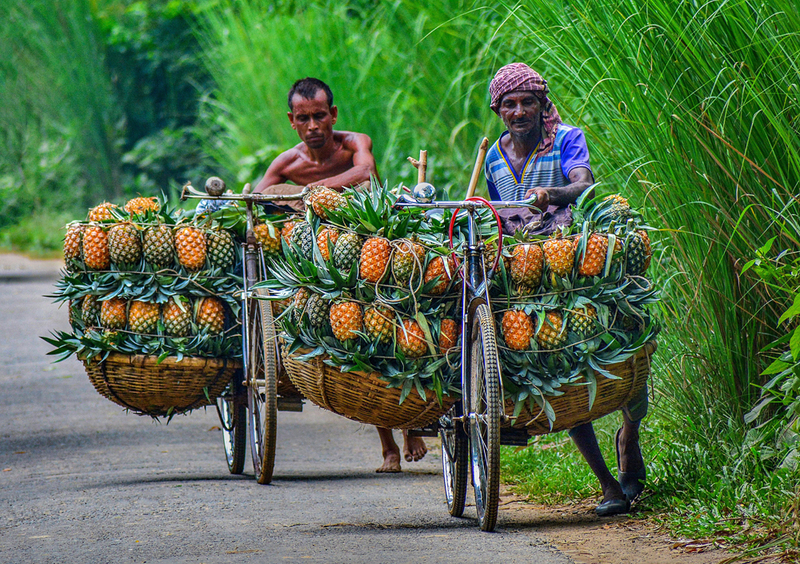 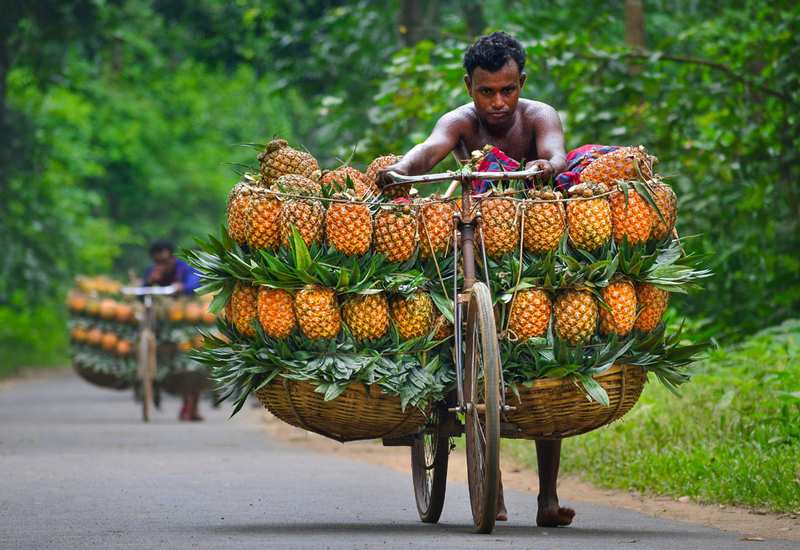 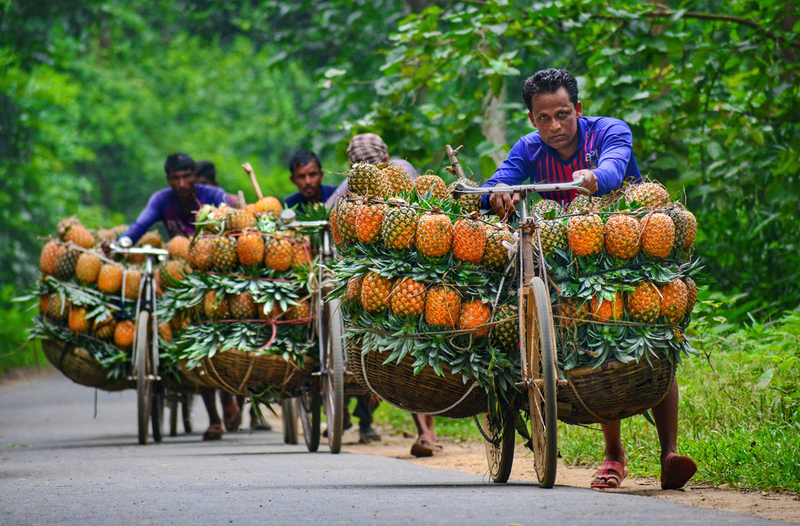 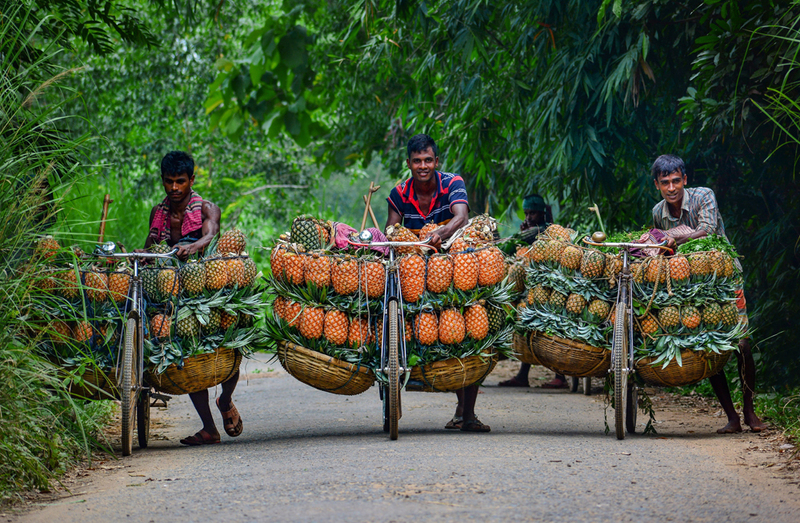 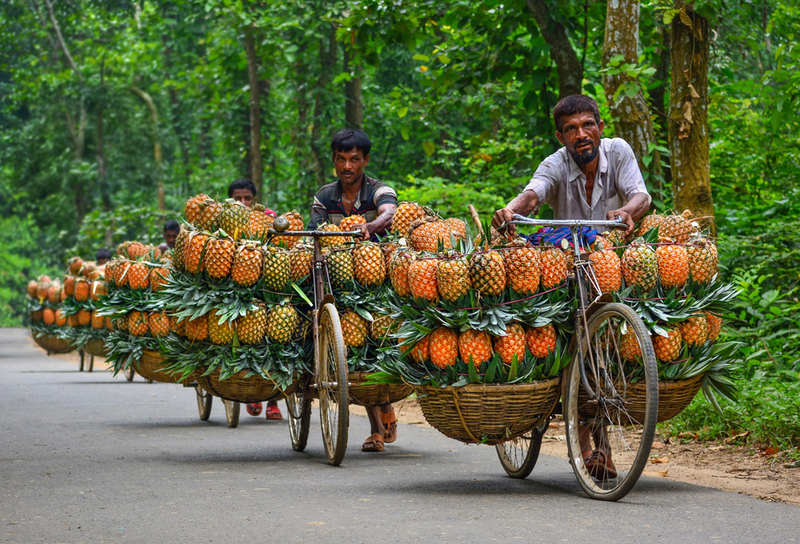 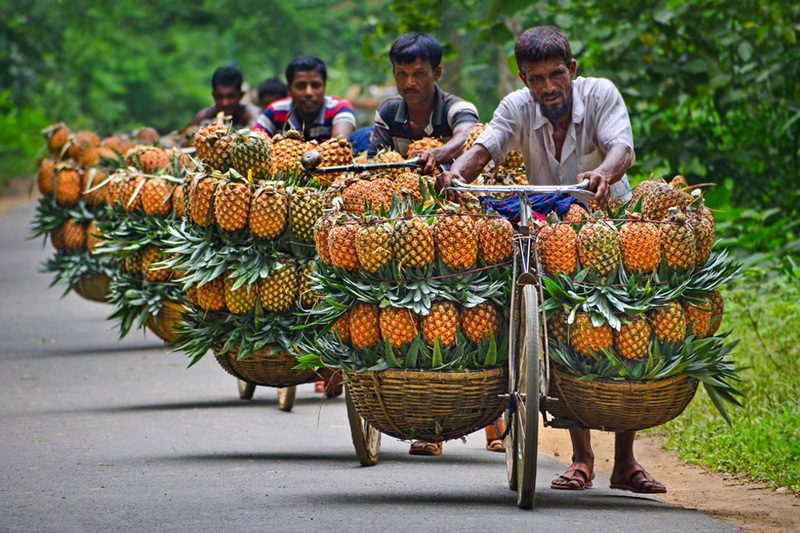 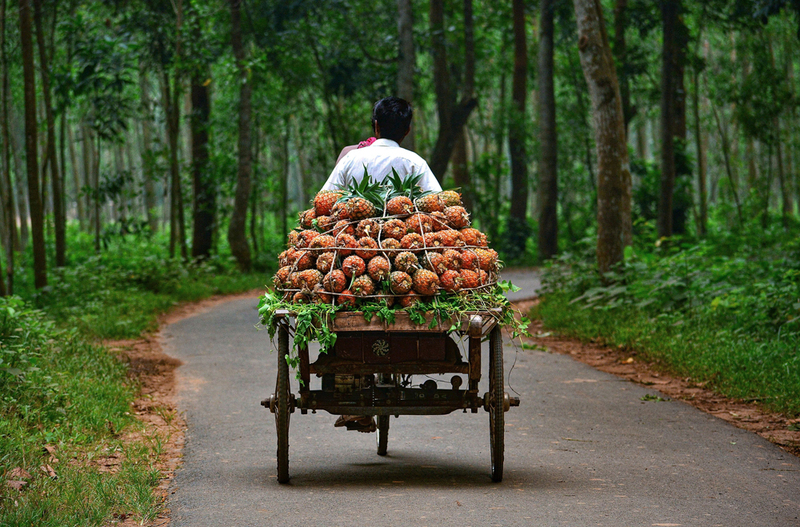 Pineapples are all the rage in the street food scene in Madhupur, what’s more is their means of travel. 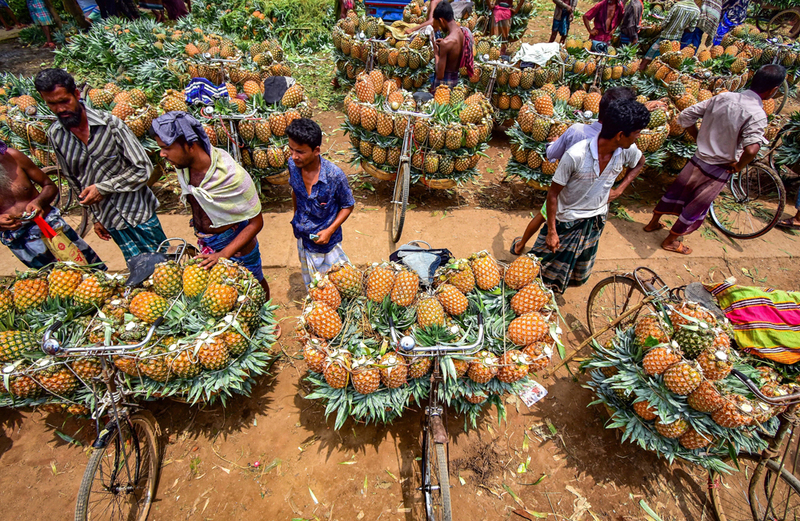 Cyclists move their pineapple bicycles around 12 miles to arrive at the market, carrying between 50 and 100 pineapples to sell. 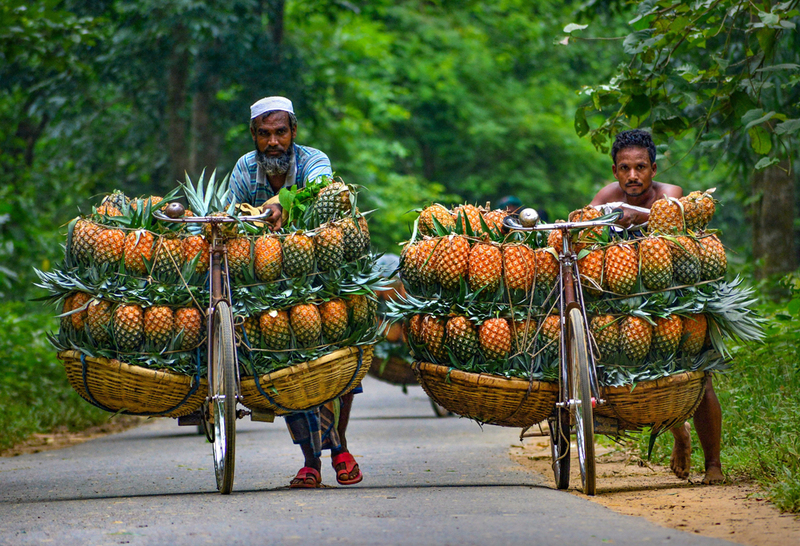 When they get to the market place, purchasers will spend up to 30 Taka for a pineapple. 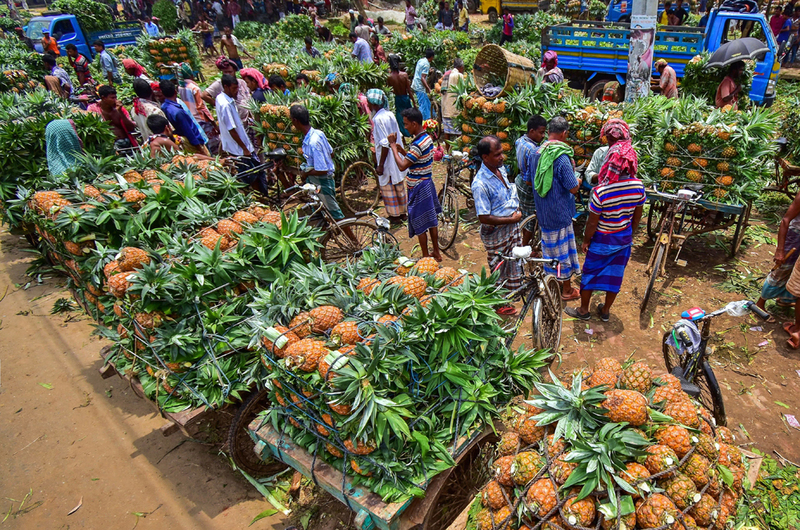 Photographer Abdul Momin had an exciting two hours watching and capturing on lens the astonishing scuffle of the men as they arrive at the market to sell their fruit.